This article is part of our Google Allo Feature Spotlight series. This is and is not the case with Google's other new messaging app Allo. See, while Duo doesn't really need anything more than a phone number to put you in touch with your contacts, Allo does a lot more, not least of which is the Google Assistant integration. In order to make relevant suggestions to you, answer questions about your agenda or upcoming trips, make reservations for you, or perform searches through your email and photos, Assistant needs to know who you really are on Google, and thus Allo prefers to have more than just a phone number to go on. Otherwise, you'd have to start teaching it stuff about you from scratch and redoing that in case you changed your phone number. No bueno. Based on information we've obtained from testers with a preview version of Allo, here's how the phone number / Google account dichotomy works. 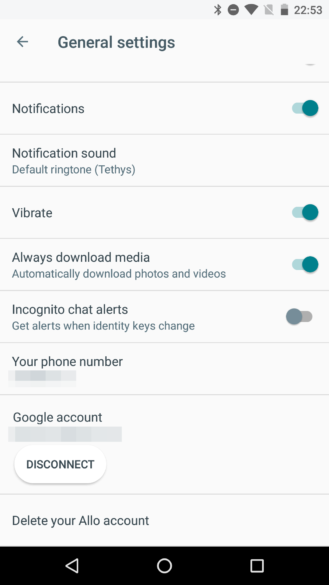 When you first install Allo, you have to activate it with a phone number and the app seems to automatically link itself to your main Google account on your device. 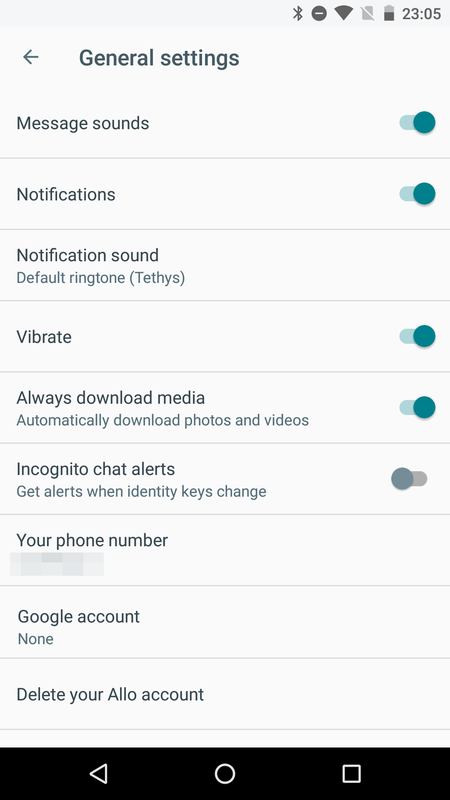 In Allo's settings, you can see which account that is and disconnect it if you prefer to keep some distance between your Allo persona and your Google identity. 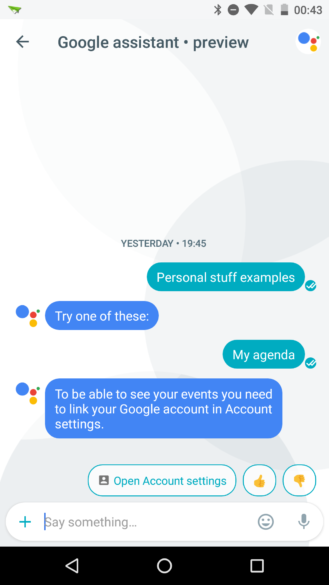 Once disconnected, Assistant won't be able to serve you any personal details, and will instead suggest you link a Google account... as a clingy friendly reminder, if you will. 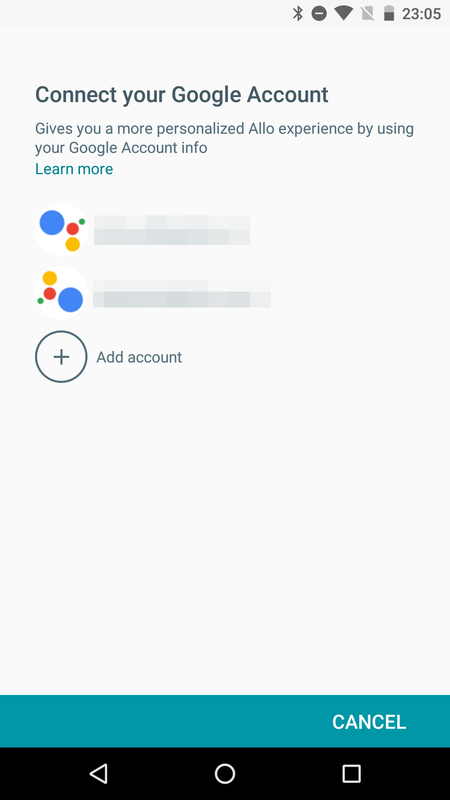 Also, by disconnecting, you open the option to choose another Google account in case you have more than one. 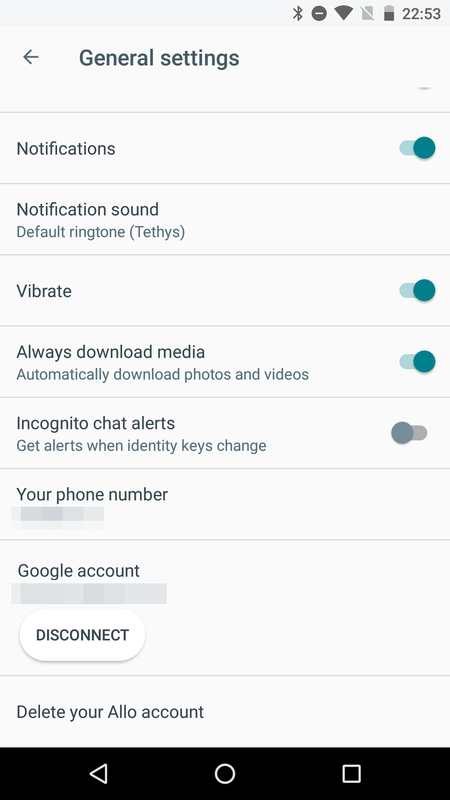 Your phone number is your only identifier on Allo. It's what others will use to find you, talk to you, and add you to groups. Your Google account is only used to make Assistant suggestions for you. Your Google account doesn't matter in any other area of the app. It is not used for backups, synced chats, or anything of the sorts. Multi-device support is not available. 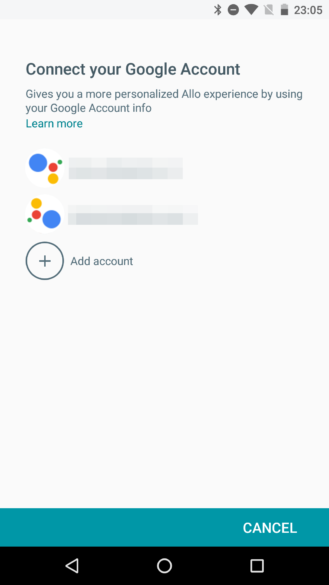 You can have two installations of Allo on two devices tied to the same Google account, but they need to be on different phone numbers to activate in the first place. Your chats will be completely different on these two devices (again, because tied to phone number). This is where things stand in the preview version of Allo. They may be different in the final release, or they may not. Odds are, if you ask me, they'll stay like this. Weekend poll: Are you using Google Duo? Do you like it?